Did AT&T Just Confirm A Galaxy Note 10 With 5G? We all know Verizon and AT&T will likely release the first 5G handsets from Samsung next year, which are expected to be the Galaxy S10 and Galaxy S10 Plus. However, AT&T has now announced the addition of a second Samsung phone with 5G support for the second half of 2019. Is a Galaxy Note 10 with 5G confirmed? Like Verizon, AT&T didn’t reveal the name of the Samsung handset, but it is easy to guess that it will probably be the Note 10. “We’re pleased to announce we’re working with Samsung to bring another standards-based 5G device to AT&T customers in 2019… We expect to offer this device in the second half of 2019,” AT&T said in a press release. It’s been a trend that each year’s Galaxy Note builds on whatever new features the Galaxy S flagship has. Samsung usually launches a new Galaxy S flagship in the first quarter of the year, while the new Note flagship comes some time later in the year between mid-August and early September. These launch periods have been pretty consistent over the past several, with the exception of the Galaxy S8 launch, which was delayed due to the disastrous Note 7 recall in 2017. After its first 5G phone, which will likely be the Galaxy S10 and/ or S10 Plus, Samsung will want to keep the 5G momentum going. Thus, we expect to see the Galaxy Note 10 with 5G as well. It remains to be seen if the Galaxy Note 10 with 5G will be the only variant of the phone that Samsung will launch. It’s possible there will be more variants as well, at least for the countries which have yet to adopt 5G mobile technology. Verizon is also expected to offer the Galaxy Note 10 with 5G. Samsung stands to benefit from carriers’ quick 5G adoption and being among the first to launch a 5G smartphone. In the coming years, the Korean firm plans to invest about $22 billion in 5G and AI technology. As of now, not much is known about the specifications and features of the Galaxy Note 10. However, reports suggest it will feature an edge-to-edge display and an ultrasonic fingerprint sensor, which was showcased at the Qualcomm Snapdragon Summit last week. Other rumors claim the handset will have a triple-lens camera and a bigger battery than the current Note 9 has. The Bell claims that the Note 10, which is code-named “DaVinci,” will sport a 6.66-inch Super AMOLED screen with support for 4K resolution and HDR. The report suggests that the company just finalized the display specifications this month and has handed them to the Samsung Display unit for production. The 5G variants of the Galaxy S10+ and Galaxy Note 10 are expected to be powered by the Snapdragon 855 chipset. Qualcomm only recently announced this system-on-a-chip, and Samsung has already confirmed that a Snapdragon SoC would be powering its first 5G device (for both Verizon and AT&T) coming in early 2019. Since the Snapdragon 855 is the only 5G-ready module Qualcomm has announced so far, there is a good chance we will find it inside the Galaxy S10 with 5G and the Galaxy Note 10 with 5G. Powering the first 5G Samsung phones would be a big advantage for Qualcomm. Traditionally, Snapdragon-powered Samsung phones have been sold in the U.S., Canada, Mexico and China, but now, the Snapdragon-powered S10 with 5G is expected to launch in additional markets, including South Korea at least. It must be noted that Samsung’s top 2019 chip, the Exynos 9820, reportedly won’t be getting 5G capabilities. AT&T’s announcement also somewhat puts an end to the rumors that Samsung plans to ditch the Note branding and merge its phablet lineup with the Galaxy S lineup, considering that the size difference between the two products is narrowing. Samsung Mobile Chief D.J. 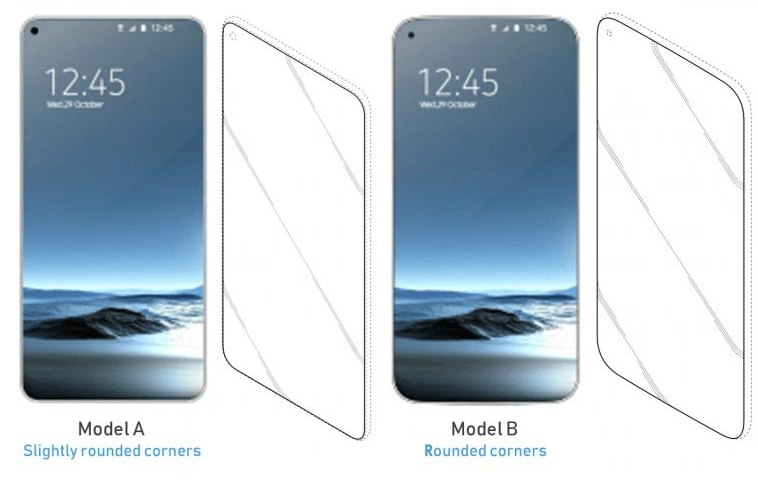 Koh also confirmed in August that the company will hold onto the Note branding, even though it is preparing to launch a third mainstream flagship line in the form of a foldable handset. Rumors suggest that Samsung’s foldable device, which will reportedly be named the Galaxy F, will also come with 5G capabilities. It remains to be seen which carrier will be the first to offer it. As with all new mobile technologies, 5G will also have limited availability. AT&T has installed 5G equipment in only 12 markets currently. This means early buyers of these new Samsung devices may have to wait for awhile before they can use the network throughout the nation. In addition to selling Samsung’s 5G devices in 2019, AT&T will also be selling a 5G mobile hotspot. Pricing and other details of the device are not known for now.